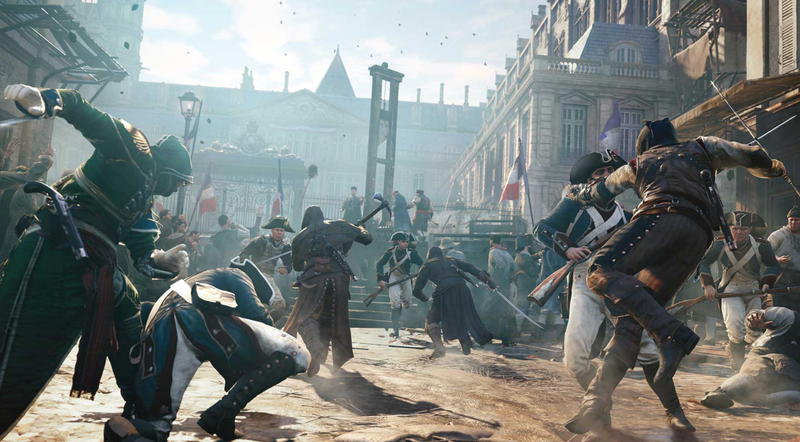 Right before Thanksgiving, Ubisoft acknowledged that it botched the launch of the much-anticipated game Assassin’s Creed: Unity, and that people who bought the title early would be offered make-goods of free content. Now that the first of those freebies has gone live, users are realizing it comes with a catch — give up your right to sue. As we mentioned in the earlier story, AC: Unity owners who paid for the Season Pass option — which gives you access to all downloadable content — would be given the option of choosing a free game from a handful of other Ubisoft titles. But as Game Informer recently pointed out, anyone who takes Ubisoft up on this offer is giving up their right to file any form of legal claim against the video game publisher regarding this game. This isn’t the typical sort of forced arbitration clause that has become increasingly popular in recent years. Those at least give you the option of resolving a dispute with the company through a binding arbitration process. And the Ubisoft agreement doesn’t just prevent you from joining a class action against the company, it prevents you — and your heirs and next of kin — from filing any sort of “claims, demands, charges, lawsuits, debts, defenses, actions or causes of action, obligations, damages, loss of service, compensation, pain and suffering, attorneys’ fees…” etc. Since most people have no interest in suing over a botched video game and are perfectly happy accepting a free game as an apology, and since even more users will not even think to look at the mouseprint of this agreement, this “you can’t sue us” clause effectively neuters any planned attempt for Season Pass owners to file a class action alleging that their purchase was devalued when Ubisoft decided to give away some of the DLC as a freebie offer to the rest of the people that ordered AC: Unity early. After all, class actions require a lot of work and can cost a lot of money. A good lawyer won’t take one on unless there is a large enough class — and significant damages — to make it worth the effort.